“It has also opened up some really interesting conversations with clients such as L'Oreal about the combination of working with celebrity and how we can better integrate everything that we are doing with our digital audience and the celebrity’s digital audience, who we can access with our covers and the content we create, to get people to trial new beauty products,” she said. There was also a Kylie Cosmetics beauty integration for the issue with each magazine, packaged with a Lip Kit valued at $12.99. Connecting with younger audiences continues to be a focus for Vogue, said McCann, with the October issue also featuring younger talent. The Australian Magazine Awards will be held next month and represent the very best in the publishing industry. Get your tickets now. When Vogue Australia editor-in-chief Edwina McCann put Kylie Jenner on the cover of its September 2018 issue, she predicted it would be the best-selling cover ever. What she didn’t predict was that it would be reprinted to keep up with demand and become the fastest-selling cover ever in Vogue Australia history. The cover, which featured a make-up free Jenner, sold out in just three days and marked the first time the beauty businesswoman had been on the cover of Vogue globally. 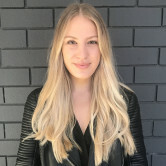 Speaking to AdNews, McCann said Vogue wanted to tap into the fascination surrounding Jenner, with her new baby and burgeoning beauty brand, but also wanted to use her appeal to convert younger readers to Vogue subscribers. “We put Kylie on the cover because she would appeal to a Gen Z audience and at Vogue we want to continue to appeal to young audiences, as well as keep our older audiences up-to-date with who’s who in that younger demographic,” McCann said. Each advertiser that had an insert running in the September magazine, such as the Sydney Airport which had a booklet inserted, had the option of not being involved in the reprint. McCann said all of the insert advertisers reinvested in the reprint and the hype around the issue created “enormous advertiser interest".